Council of Europe set to approve nomination of Hungarian neo-Nazi to its Committee on Equality and Non-Discrimination. The Anti-Defamation League (ADL) condemned the vote by the Parliamentary Assembly of the Council of Europe (PACE) to approve the nomination of Tamas Gaudi-Nagy, a member of the Hungarian neo-Nazi Jobbik party, to its Committee on Equality and Non-Discrimination and its Committee on Legal Affairs and Human Rights. 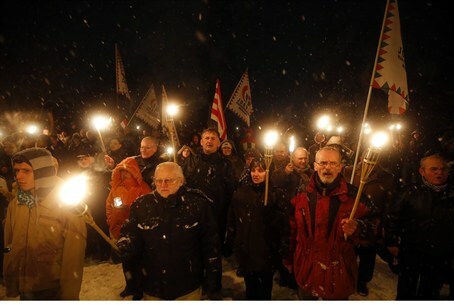 The vote was taken after the assembly challenged the membership of Jobbik’s Tamas Gaudi Nagy, as well as Eleni Zaroulia, of Greece’s neo-Nazi Golden Dawn party. The Assembly’s Committee on Rules of Procedure, Immunities and Institutional Affairs is set to meet to consider both challenges. “PACE calls itself ‘Europe’s Democratic Conscience,’ but this vote was unconscionable,” said National Director of the ADL, Abraham Foxman. “A majority of PACE members voting to include a representative of a neo-Nazi party on their non-discrimination and human rights committees demonstrates a shocking lapse of collective European memory of the millions of victims of anti-Semitism and racial hatred who lost their lives and shows an utter lack of respect for those who fought and died in the struggle against such evil,” said Foxman. Jobbik’s parliamentarians have called Jews national security threats in the Hungarian parliament and have promoted the infamous anti-Semitic forgery, the Protocols of the Elders of Zion. “When the PACE members were asked to vote on Gaudi-Nagy’s nomination to those two committees, they deemed him worthy of both and by casting those votes, PACE cast away its moral authority and brought shame to one of Europe’s oldest democratic institutions,” added Foxman. The Parliamentary Assembly of the Council of Europe is comprised of parliamentarians from the 47 member-states of the Council of Europe.